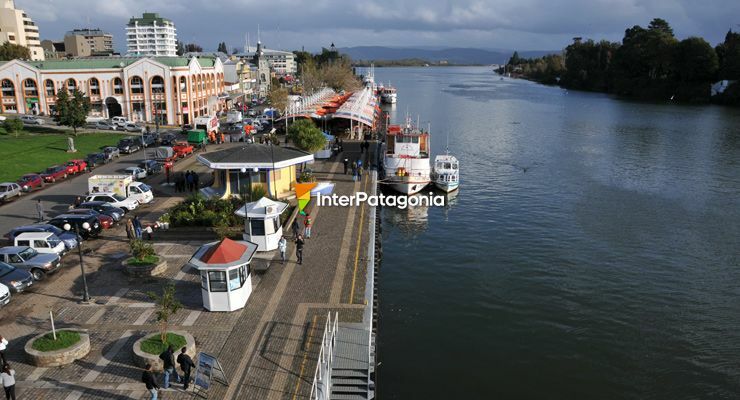 Valdivia is your stop in the Carretera Panamericana, distant 842 km. from the capital, Santiago. It is an attractive and original city founded on 9th February 1552, with two big rivers that make 130 km. of navigable water and then join in the estuary of river Valdivia. The gentle slopes along the road will give you different images where the rumour of the water mingles with the green of cultivated lands and intermitent forests. The design of the city is adapted to the irregular topography and the curves of river Calle Calle, what originates multiple corners that will surprise you with their rich architecture inherited from German colonization. With more than 123.000 inhabitants, the city of Valdivia bases its economy in indusry, handicraft, forestation, naval constructions and tourism. Typical products such as marzipan, chocolate, liquor and pottery will call your attention and offer you the possibility to enjoy their tradition and quality. As regards cultural activities, Valdivia stands out for its opportunities and the Universidad Austral.